It's short. Ten chapters, with about as many concepts explored. It may be a fun reminder if you're familiar with the history of mathematics; it may infuriate you because of its omissions or because of Berlinski's writing style, which sometimes illuminates and entertains, sometimes confuses, and sometimes even left me dazed. I suspect most readers will either love his style or hate it. 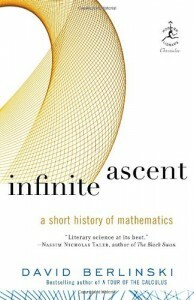 My extremely brief summary of Infinite Ascent, using Berlinski's chapter titles, is subtitled A Shorter History of Mathematics: Number - The Pythagoreans believed that numbers underlie reality; an influential idea from then to now. Proof - Arguments in mathematics use a structure basically unchanged since Euclid's Elements. Analytic Geometry - The Cartesian coordinate system united numbers and geometry. Geometric objects became identified with numbers and equations, sparking new investigations. The Calculus - Calculus, extremely useful because of its success modeling continuous change, caused mathematics to become fundamental in the study of the physical sciences. Integration and differentiation are 'inverse operations'. Complex Numbers - The square root of minus one plagued mathematicians. Euler used complex numbers, which incorporate the square root of minus one, to discover relationships and make connections between trigonometric and exponential functions. It didn't stop there either. 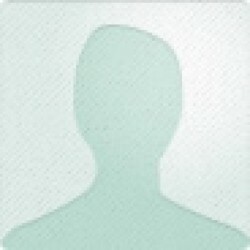 Groups - I think Evariste Galois used groups to approach equations in new ways. Membership in various groups reveals a problem's solvability while also affirming the fundamental importance of numbers. Non-Euclidean Geometry - Doubts about Euclid's parallel postulate led to its replacement. Eventually Bernhard Riemann focused on coordinates only, the local area, eliminating any focus on the background, the plane. His analysis utilized calculus. Whatever the dimensions, however impossible to visualize, numbers determine points. Sets - Sets replaced numbers. Examining infinite sets resulted in wholes that are not greater than their parts. Georg Cantor's 'tools and techniques' permeate mathematics. Incompleteness - By assigning prime numbers to mathematical symbols, formulas, and series, Kurt Godel demonstrated that axiomatic systems can't be completely consistent. They will always produce some false statements and/or fail to produce some true statements. The Present - The algorithm is one of mathematics biggest contributions. Computers have not changed the practice of mathematics very much. If I misunderstood something, let me know. The best thing about this book: it made me want to try solving problems in a text book.